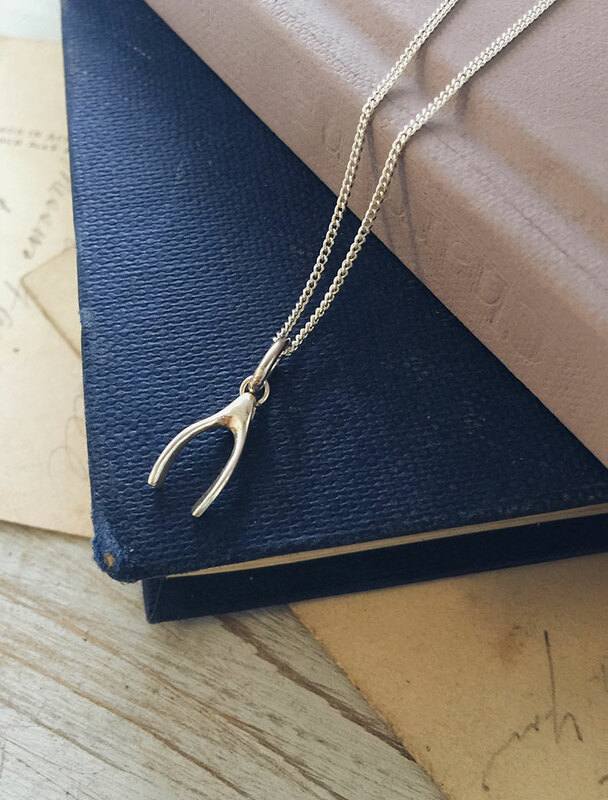 Wishbone Necklace epitomises the promise of good luck. Wear the quintessential giver of wishes with you in this intricate Wishbone Necklace. The game of the wishbone has been a favourite for thousands of years. For more than two centuries, wishes have been made as the unbroken bone clavicle is pulled apart by two people. The wisher who breaks off the bigger section of the bone clavicle is said to have their wish granted. The saying ‘get a lucky break’ comes from this tradition. The custom of snapping these bones is now a widespread tradition over Thanksgiving Weekend. Where did the wishbone tradition come from? Such custom initially came from the Etruscans, an ancient Italian civilisation, who got it from the Romans and since became a phenomenon across Europe. The sentiment of luck and wishes that the Wishbone brings has resulted in it bearing great significant in this day and age. The Wishbone Necklace symbolises these exact values. The story of wishbones and their bringing of hope and power to grant wishes is said to have originated as early as 322BC. The practices and faith surrounding the wishbone had a lasting influence on Roman culture and further on to early European and American cultures. Wishbone Necklace is the ideal little gift for best friend, sister, or goddaughter. Why not double up the Wishbone Necklace with other lucky charms from our Ready To Wear Sterling Silver Collection. Our Horseshoe Charm or Four Leaf Clover not only looks great with the Wishbone Necklace but by carrying more that one lucky charm you are doubling your good luck fortune. Read more about the mythology and symbolism of these necklaces on our other blog posts.